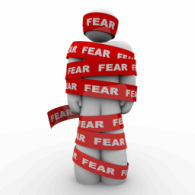 Are your fears holding you back? Do you have an on-going anxiety about public speaking, certain animals/insects, or other "nightmarish" elements in your life? Join Patrick Baron, a Cognitive Behavioural Hypnotherapist, who has over 20 years of counselling experience, and learn practical ways to overcome these fears.